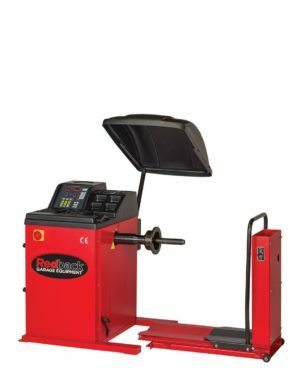 Wheel balancing is a delicate procedure and utilises specialised equipment like the tyre balancing machines listed below. 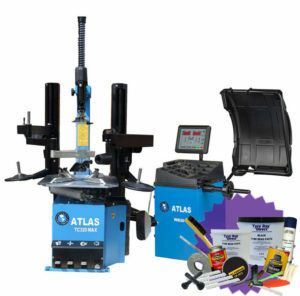 Wheel balancing is an integral part of the tyre fitting process and so you need to know you are using the best equipment to balance wheels. 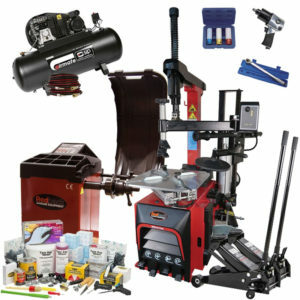 Not sure what’s best for your garage? Call us now on on 01527 883 580 and a member of our team will be pleased to help. 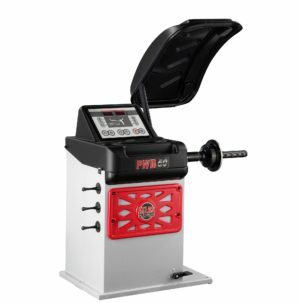 We only stock the best car wheel balancing machines with a great variety, from fully automatic tyre balancers through to manual wheel balancers. 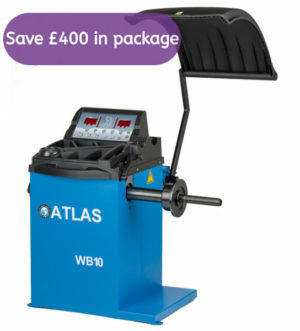 This doesn't have to mean the most expensive either as a cheap wheel balancer can do the job just as well. 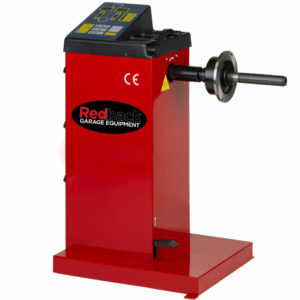 We can even supply you with Commercial Wheel Balancers suitable for use on larger vehicles like Trucks and Buses. 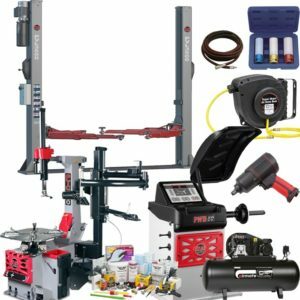 Why offer Wheel Balancing Services? With experts like Cars.com recommending drivers get their tyres balanced every 5,000 to 7,500 miles, this is a big money industry. Some will even go as low as every 3,000 miles. The impact on a vehicle can be detrimental if this process is skipped. 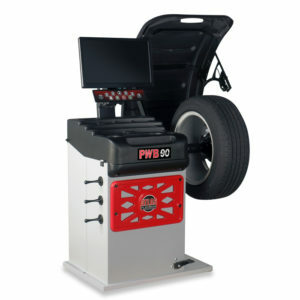 By offering wheel balancing using one of our car wheel balancing machines you can give your customers a smoother ride and ensure they get more out of the life of their tyres. It can also increase fuel efficiency. 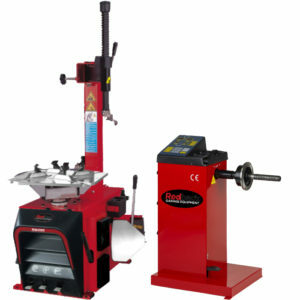 Shop our Tyre Balancing Machines today & expand your garages offering. Manual Data Input A manual data input wheel balancer is just that. All parameters are entered by hand. There will be a selection of buttons on the front of the machine which will enable you to enter the parameters. 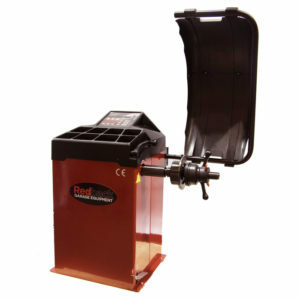 The machine will often also come with a retractable measuring arm for the offset. The diameter can then be determined by the tyre size and a pair of measuring callipers will give you the ability to measure the wheel width. 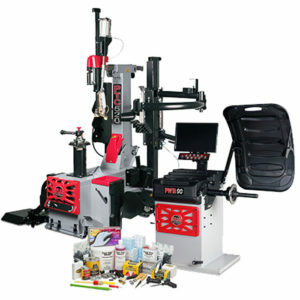 An example machine here would be the Redback 800 24". Semi-Automatic Data Input With a semi automatic wheel balancer there is still a need to enter the wheel width by hand. 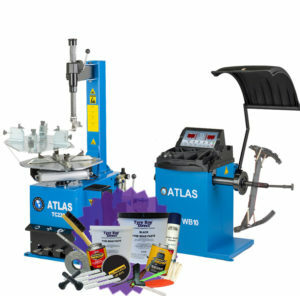 The retractable ruler will then automatically sense and input the offset and rim diameter, but you will still use measuring callipers for the wheel width and enter this through buttons on the machine. 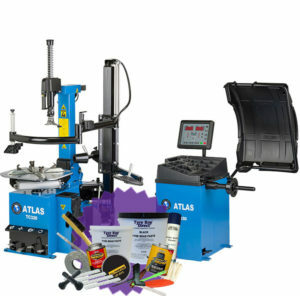 You might choose a machine like the Atlas WB30 Semi-Automatic Wheel Balancer if this is your requirement. Fully Automatic Data Input A fully automatic wheel balancer will capture all 3 of these parameters. Again, the measuring arm of the wheel balancer will pick up the offset and diameter but on a fully automatic machine, there will be an additional measuring arm, normally attached to the protective hood. This arm can be brought across to take the wheel width measurement which is automatically entered into the machine. 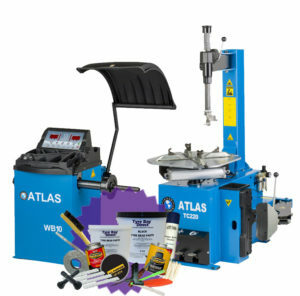 The PWB55 Atlas Platinum is a good example here. It's important to note that, assuming correct data is entered, the balancing accuracy is not affected by the way the data is collected. 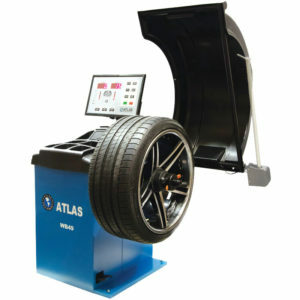 The main advantage gained with a fully automatic balancer is the speed of turnaround for wheel balancing. 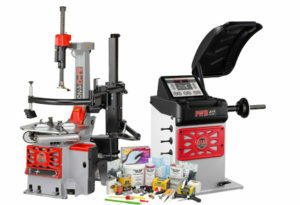 Still unsure which model is for you? Call our experts today. 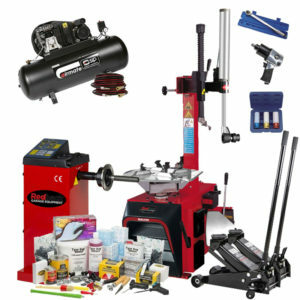 They’ll be happy to talk you through the different balancers and find the right one for you. Preventative action will always cost your customers less in the long run. 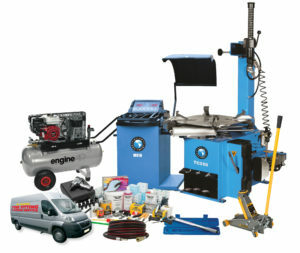 Ensure you are offering the best service possible by choosing Tyre Bay Direct to supply you with the best in wheel balancing equipment today.